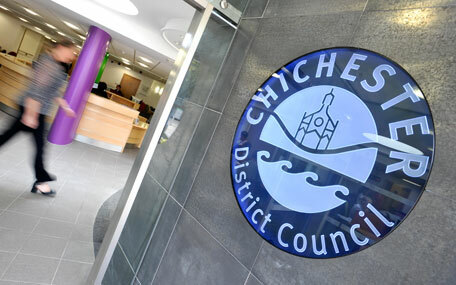 Leading councillors at Chichester District Council are to be recommended that two routes are promoted equally to Highways England as part of the community's aims to find a solution to improve the A27 at Chichester. At a special meeting on Friday 8 June, the council's Cabinet will decide on whether to recommend that councillors support Approach A. This would promote a mitigated northern route and the full southern route without indicating a preference for either option when asking the Government to include a scheme in its second Roads Investment Strategy (RIS2). This follows work by the community group Build a Better A27 (BABA27) and transport consultants Systra which have been supporting the group to find a way forward. If the recommendation is agreed, then all Chichester District councillors will have the opportunity to debate this important issue at a special full Council meeting. Over the last few months the BABA27 group has been working hard to find a solution, supported by Systra, West Sussex County Council and Chichester District Council. After analysing a long list of options, the concepts highlighted in Approach A are those that Systra believe merit further feasibility work and consideration. Any scheme would need to address a wide range of issues including capacity, congestion, journey reliability and environmental issues such as air quality. The recommendation, if agreed, does not mean that the scheme would definitely go ahead. Highways England would need to carry out further technical assessment on both concepts, which would be shared in the autumn. It would then publish a draft business plan next April which would contain potential schemes to be included in the second Roads Investment Strategy. The Government would make the final decision on whether to include the A27 Chichester scheme only after considering it against other competing priorities nationally. If an A27 Chichester scheme is chosen to be included, then a public consultation would take place, possibly in summer 2020. A preferred route would be announced, with construction work potentially starting in 2023 - 2024. If none of the approaches are endorsed by Chichester District Council and Highways England does not select a scheme for inclusion in RIS2, improvements to the A27 at Chichester would still need to be carried out. These improvements would be those needed to ease the impact of development arising from the district council's adopted Local Plan. These would be small scale improvements carried out to ensure that the junctions continued to operate effectively. Partly developer funded, they would be likely to take place gradually as housing development comes forward. Background papers for the special Cabinet meeting on Friday 8 June can be found on the committees page.